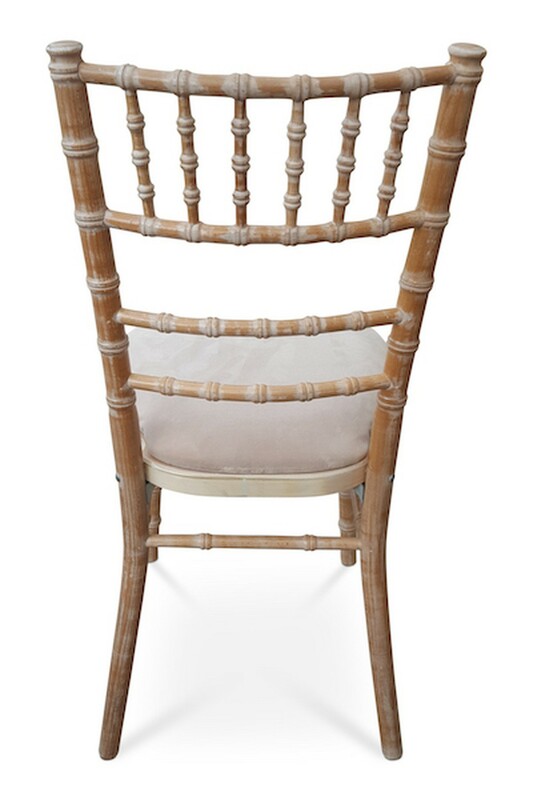 We at, Front Row Furniture, are a leading supplier of both new and second hand furniture. 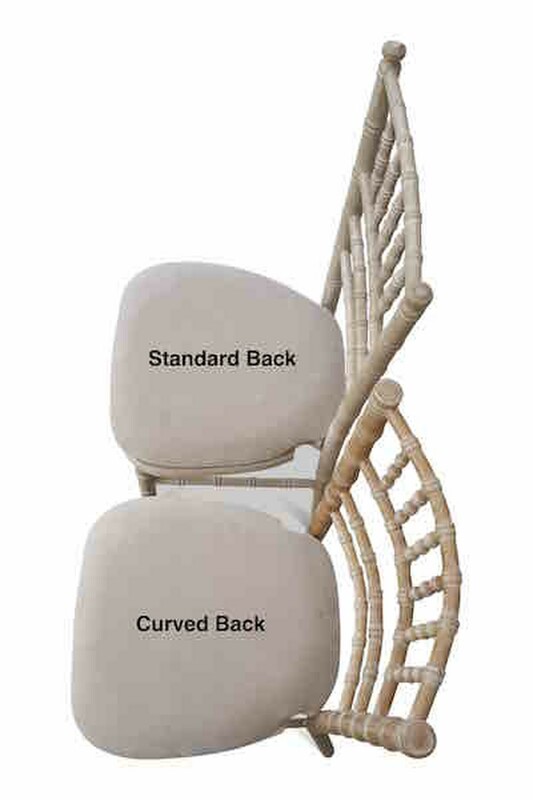 This is an advert for new curved back Chiavari chairs – a unique proposition for our customers! 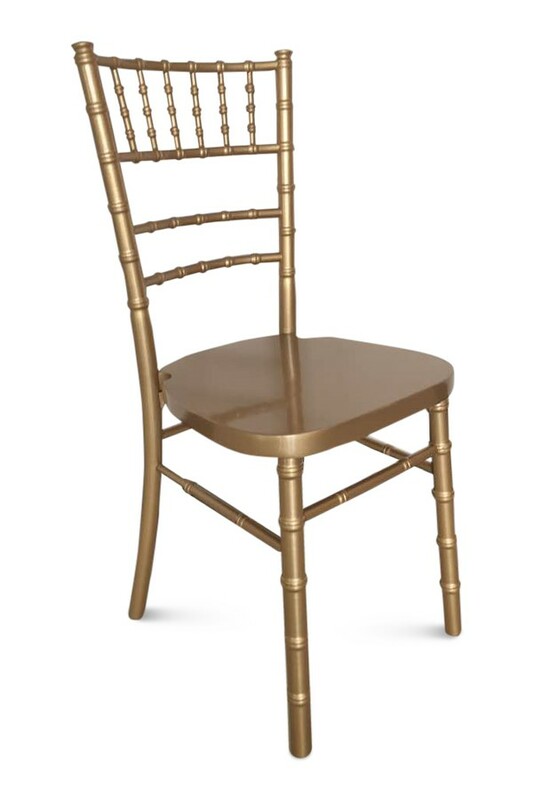 To suit all requirements, we keep this chair in stock in various colours including two different shades of Limewash (natural-limewash & white-limewash), gold, silver and black. 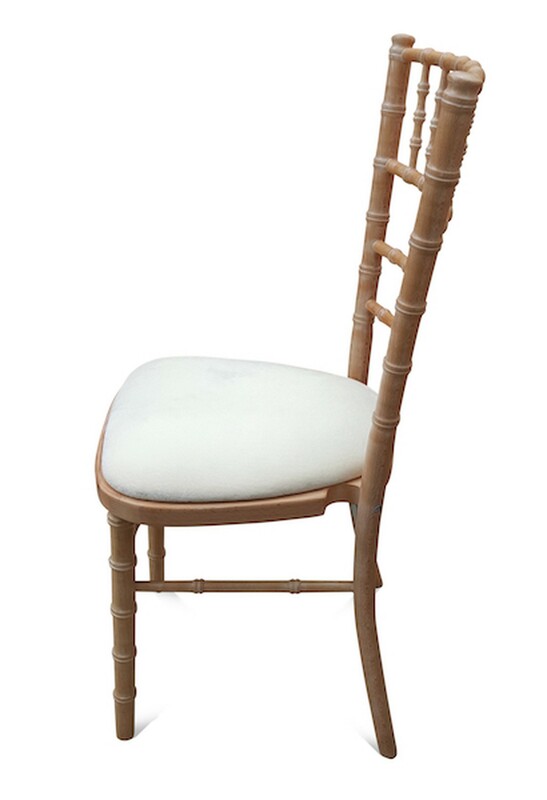 These are not your average Chiavari Chair! 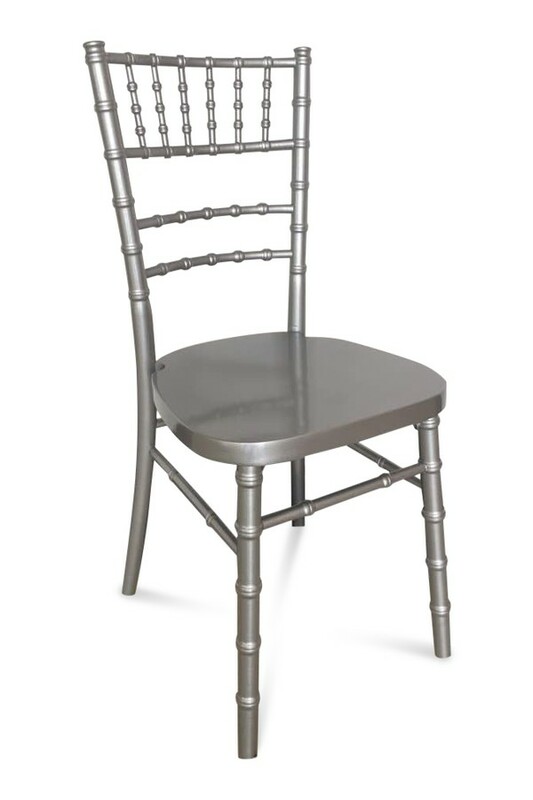 Our premium range of chiavari chairs have a superior curved back. 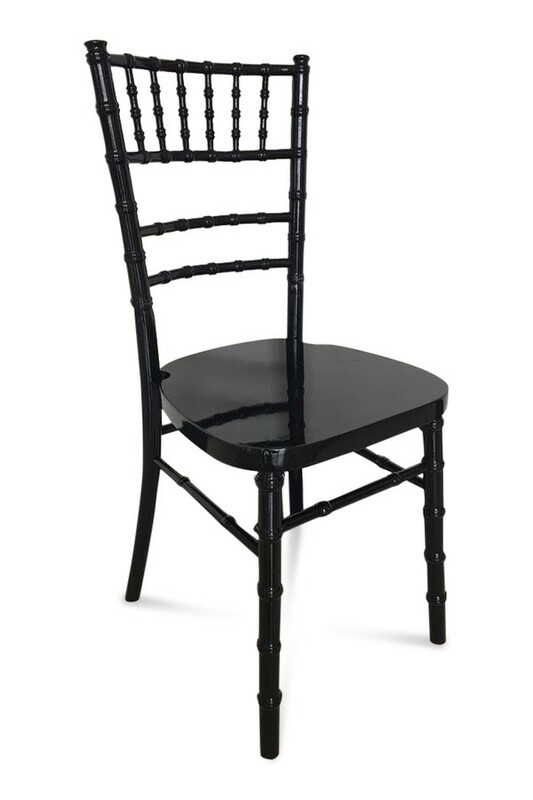 Often most standard back chiavari chairs will have straight (or near straight) back rests. If photo’s are unclear, the tell-tale sign is often the number of spindles used in the back rest. 5 (or less) normally means a straight (or near straight) back, as normally you require 6 spindles to manufacture a good curved back, like our premium chairs. 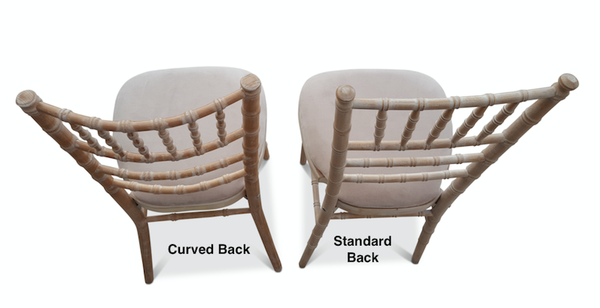 Curved backs are of course significantly more comfortable, as well adding both style and strength. 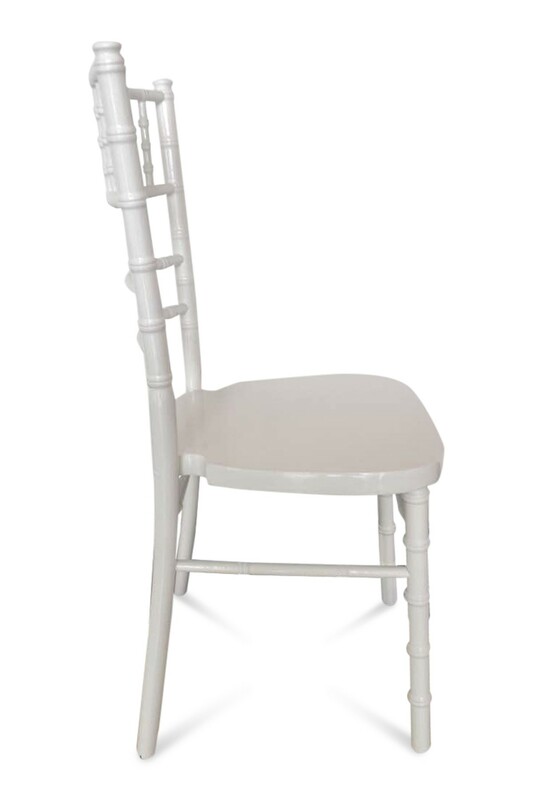 All for a similar price to normal straight back chairs! Since we introduced this range last year, they have proven to be extremely popular with our customers! We are currently running promotional pricing on this item! Prices above include an ivory seat pad. 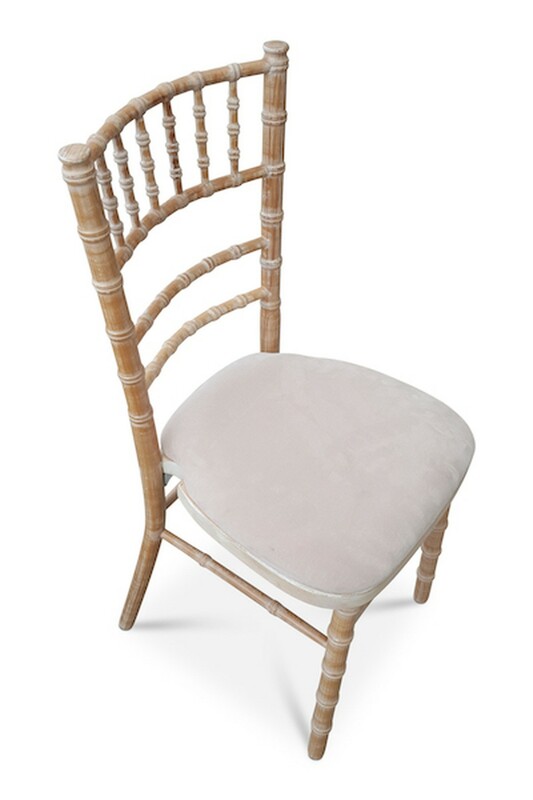 Discounted by £4.99+VAT if our standard ivory seat pads are not required. Shower caps also available for the pads if required. Please enquire if you would like to order a sample. UK / International Delivery available - enquire for price.